Having and maintaining a healthy blood pressure is the result of numerous factors such as genetics, attitude, age, education, urbanization, obesity, alcohol, tobacco, mindset, diet, and cardiovascular fitness. Research has proven the benefits of exercise, healthy food, and mindfulness, but many are still unaware of the proper guidelines when taking blood pressure and will not be correctly diagnosed with hypertension. It is well understood that as many as 30% of people whose blood pressure is taken at a doctors office is artificially high (white coat hypertension), while about 12% of people have their blood pressure measured artiffically low (masked hypertension). Masked hypertension had been considered most dangerous because the high blood pressure is not picked up at the doctors office and is thus not addressed. 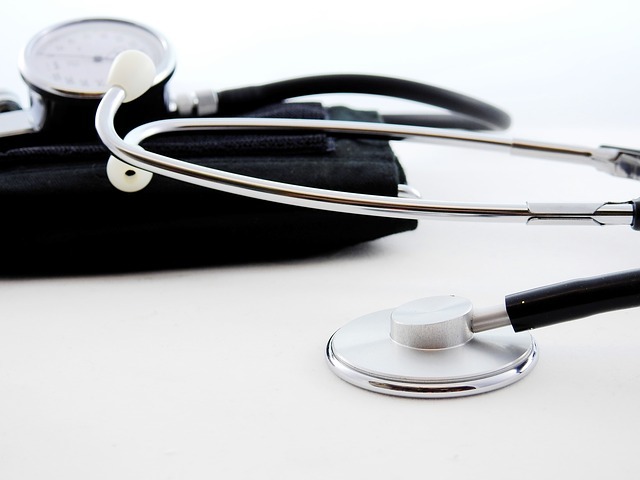 Recent research published in the New England Jouranl of Medicine shows people with white coat hypertension are twice as likely to die then those who have normal blood pressure in the doctors office. The reason is that people with white coast hypertension are found to have a natural tendency to have their blood pressure affected by stress. This is one reason it is important to take your blood pressure at home, as it has been found to be much better predictor of death then measurements taken at a doctors office. A diagnosis for hypertension is best made after numerous home and office measurements taken over multiple days and times. Getting accurate blood pressure measurements can be difficult. Blood pressure changes throughout the day - rising between 6am-12pm, and lowering between 12pm-6am. Measurements are also significantly affected by taking blood pressure incorrectly. The best way to diagnosis and manage blood pressure is by taking readings up to twice a day, at different times of they day and under proper conditions. May is High Blood Pressure Education Month and serves as a great reminder of the importance of taking accurate blood pressure readings and to refreash yourself on the AHA guideliness. It is essential for you to know the guidelines for proper blood pressure measurements in order to have accurate readings and better manage your medication use. So the next time you measure your blood pressure take note of these DOs and DON’Ts. Purchase the device from a reputable vendor and ensure it meets FDA Class II requirements and has a CE mark. Some studies have shown that some blood pressure monitors can be inaccurate 70% of the time. IoT digital blood pressure devices are on the rise in the healthcare market. Consider devices that store and track the results on mobile devices to allow you to track your blood pressure over time and allow you to share it with your doctors. One example is the Cardiowell cellular enabled blood pressure device* and its digital therapeutic App. New devices that use pulse transmit time calculations are convenient as they can be taken seamlessly from the wrist, but as of yet have not proven to be as accurate. Select a device that measures blood pressure from the arm (brachial artery). Devices that measure on the wrist, or finger are not as accurate. Ensure you are using the proper size cuff for your arm. Too small a cuff can add 2-10mmHg. Take measurements at the same time every day. Take measurements as much as twice a day. If one of your readings appears abnormally high or low, take two additional readings 3-5 minutes apart from each other. Take your blood pressure the same way each time. Share the results with your doctor. Have a big meal, exercise, drink or eat caffeine, take alcoholic drinks and decongestants. If you do any of these things, wait for at least 30-minute before taking your blood pressure. Use the bathroom and empty your bladder. A full bladder can increase your BP by as much as 10mmHg. Sit calmly and comfortably for 3-5 minutes without crossing your legs and ankles. Crossing your legs can increase your BP by 2-8mmHg. Support your back while sitting and keep your feet flat on the floor. Not doing so can increase your BP by 5-10mmHg. Read instructions on how to use your blood pressure monitor. Talk or actively listen. Doing so can raise your BP by as much as 10mmHg. Rest your arm on a flat surface or table at heart level. It should remain stretched out and relaxed. Not supporting your arm can raise your BP by up to 10mmHg. Having your arm too high lowers your BP, while having it too low can raise your BP. The AHA just increased its categorization of hypertension to anything greater then 120/80. Learn more about the importance of the guideliness from article "The New Normal: Why Accurate Monitoring is Important with the New Hypertension Guidelines"
Two numbers make up your blood pressure. The top number data is the systolic blood pressure (most important), the lower number is the diastolic blood pressure. Record and track the results manually if your device doesn't already do it for you. Share with your doctor regurlarly to ensure you are receiving optimal blood pressure management. * The Cardiowell IoT blood pressure device is currently being evaluated by the FDA and is only available for research today.